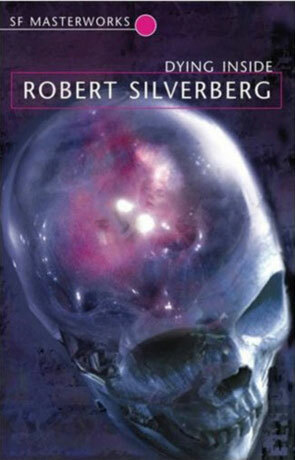 Robert Silverberg has been long acknowledged as a leader in the filed of Science Fiction, and in 1972 he published a novel that was immediately and widely hailed as a masterpiece. More than 30 years later, Dying inside has stood the test of time and is now recognized as one of the finest novels in the field of science fiction. Not a single word is wasted while Robert clearly shows us what it would be like to read peoples minds. For too long has Dying Inside been out of print, with today's audience missing out on a true classic. This is the perfect novel for everyone who appreciates deeply affecting characterization, imaginative power, and the irreplaceable perspective unique to speculative fiction of the highest order. Dying Inside is a quirky tale of the early 70s, a document of its times, hardly a science fiction novel at all. Set in Manhattan in the days of the sexual revolution, radical chic, and political and social ferment, this is the tale of David Selig, a hapless intellectual from the Jewish side of town. He is a man with an extraordinary gift. He is able to read minds. Written on 1st November 2009 by Ant.